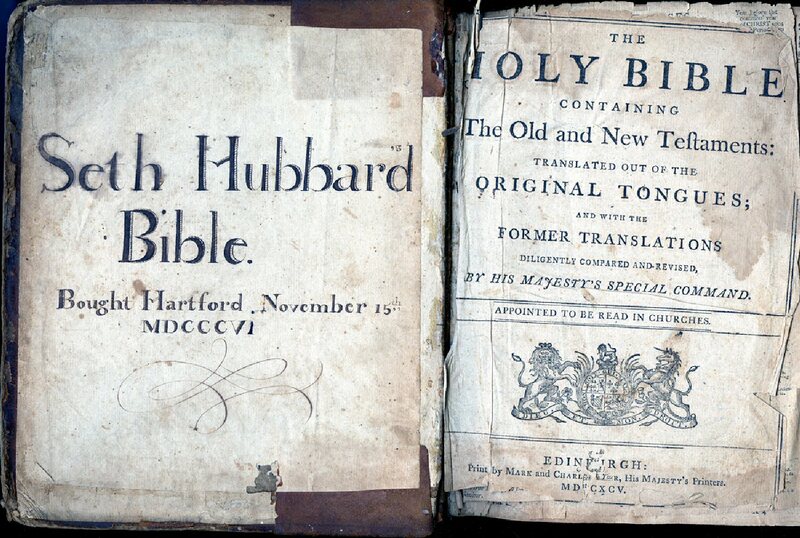 This 1795 Bible once belonged to early settler Seth Hubbard and the Henderson family. It is now part of the town of Volney history collection. Oswego County Legislator Linda Lockwood brought the book to the January meeting of the Oswego County Legislature to help mark the county’s bicentennial and take her oath of office as Oswego County Legislature Vice Chairwoman. OSWEGO COUNTY – Oswego County marks its 200th anniversary this year with a variety of events and activities throughout its cities, towns and villages. 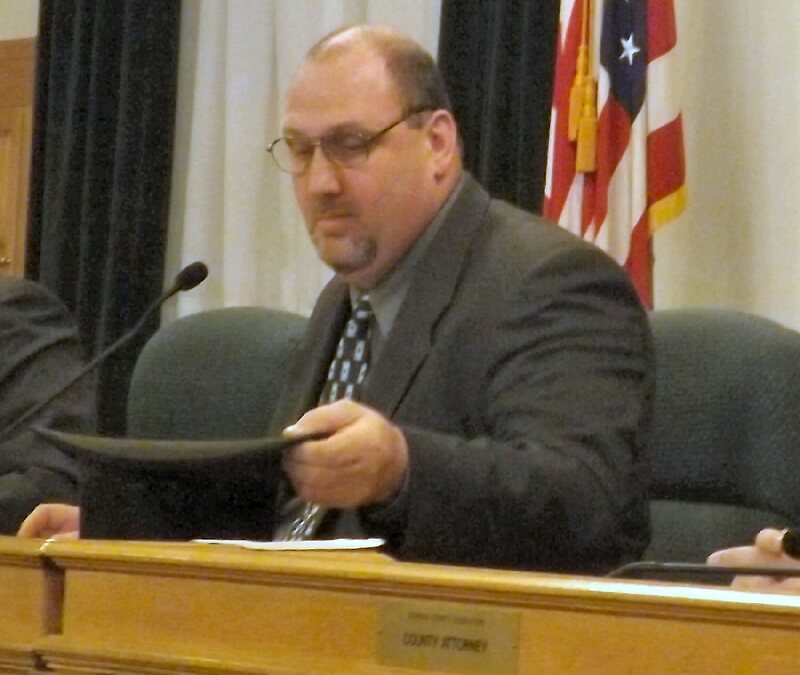 Legislator Shawn Doyle, District 3, chairman of the Oswego County Bicentennial Committee, will lead a “History Moment” to open each monthly Legislature meeting. These accounts will offer legislators and the attending public a glimpse into the county’s past to learn about the people and events that helped shape this region as well as the attributes that make Oswego County a great place to live, work, study and play. The first meeting of the year began with the legislators’ oath of office. Each brought in their family Bible or one of significance to their community for the ceremony. Marking the occasion, January’s “History Moment” highlighted the significance of family Bibles in maintaining family records and a brief discussion about the settlement of the county. 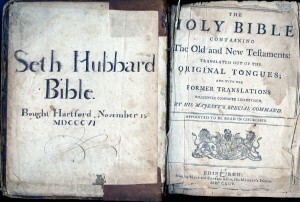 The Bibles brought in for the January Legislature meeting spanned from 1795 to the 1990s. They belonged to parents, grandparents and as far back as five generations of family. The former owners were pioneers and early settlers, immigrants and masons, servicemen and women, former Oswego County legislators and a past Oswego County District Attorney and U.S. Congressman. Several were gifts of marriage, or received in childhood or undergraduate studies. Two Bibles belonged to practicing pastors and one was a 1936 Catholic missal. 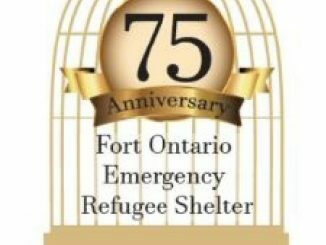 Those in attendance at the meeting also learned about former U.S. Congressman William Henry Baker of Constantia, who represented the 24th district from 1875 to 1879. During his tenure, Congressman Baker served on the Committee of the Centennial Exposition, the Congressional delegation charged with commemorating the 100th anniversary of the United States. Baker’s political career began in 1863 when he served as Oswego County District Attorney after practicing law for 11 years. DA Baker attended President Abraham Lincoln’s second Inaugural Address in 1865 and the top hat he wore to the ceremony remains today with the home he built more than 160 years ago. When Baker’s daughter, Sarah, sold his house, she made an agreement with the new owners that they keep her father’s top hat, Bible and Congressional Register with the property; a practice which continued through two subsequent sales. With the permission of the current owners, Oswego County Legislator Roy Reehil (District 5, Constantia) brought the items to the January meeting for viewing. All are invited to join the bicentennial celebration in Oswego County. The next legislature meeting will be at 2 p.m. on Tuesday (Feb. 16) and is open to the public. The February “History Moment” marks Black History Month with a discussion about some of the area’s first black settlers as well as the Underground Railroad movement throughout the county.